Welcome to the English version of our site. The Radio Amateur Association of West Greece (RAAWG) was founded in 1985. Our official call is SZ1A (ex. call SV1AFA). The main population center, where the most of our members are, is Agrinio, a town with a population of about 100,000. Our original goal was to join all amateurs in West Greece, to put some repeaters in nearby mountains, to organize courses for candidate hams, to educate them and to offer as volunteers to our community. Except Contest Station SZ1A, we have to maintain three voice repeaters, four APRS digipeaters and one hf station (in our office in Agrinio). We count about 40-50 members at the present time (unfortunately financial crisis the last years in Greece has reduced dramatically our members' number). From the first days, some of our members were very active in contests. In 1993 we participated in our first CQ WW SSB as a club in the M/S category using the call SV1AFA. We were first SV and this gave us a lot of pleasure!! This first participation created a tradition. 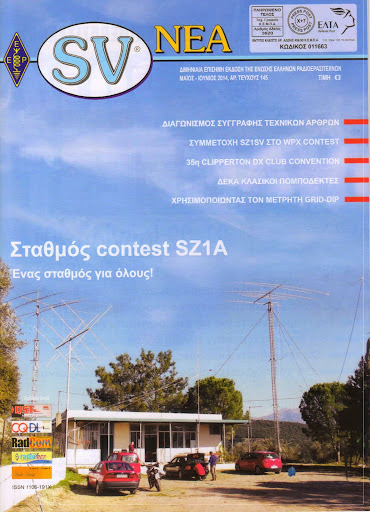 So our club became the most active club in Greece in several HF contests and very active in general. in section eshop, you can buy our memorials, donate us, or subscribe to RAAWG. If you listen us in a contest, please call us.